You’ve always been a star, we know that. But now your episodes can be too! Collect all your favorites in the side bar. What else does a star need? A platform! Chromecast to your television for that big screen experience (Chrome only, no one ever got famous by running IE). While your stunt double does all the hard work, why not kick back, sort your your episodes in reverse order and find a good story podcast to listen to. 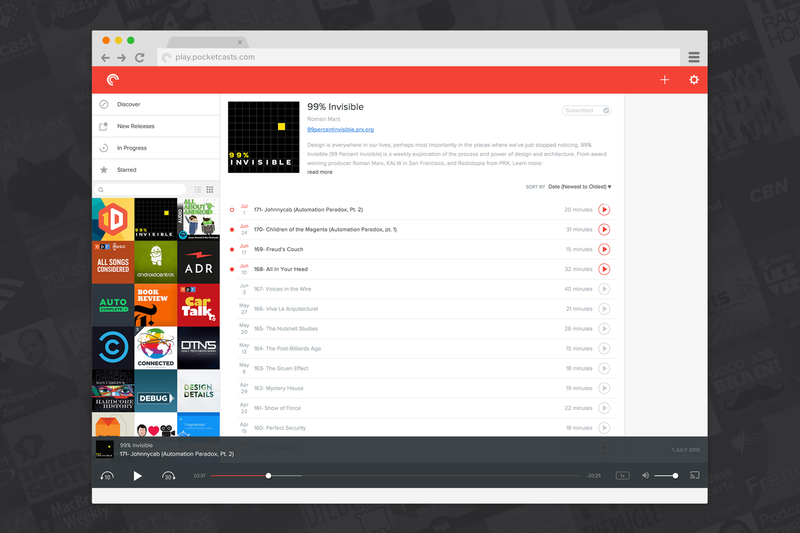 So sit back, open your browser, go to play.pocketcasts.com and enjoy some great podcasts.